Zanimljivo je ovo staklo ispred same antene koja inace ima zastitni poklopac koliko vidim tako da staklo ne sluzi da stiti module od nekih ostecenja vrlo moguce da je staklo ustvari plazma ekran za smanjenje odraza same antene. jazbar ::Taj avion prema fotografijama modela neće biti 5 generacije jer nema unutrašnjeg spremnika za bombe i drugo naoružanje. Vanjskim pilonima i naoružanjem na njima nemože mnogo smanjiti radarski odraz. Neznam koja vajda uništiti idealnu aerodinamiku a da nisi uradio "stealth" avion? Ok biće "stealth" bez da nosi naoružanje. Trebalo bi popraviti naslov teme i izbaciti reči "lovac pete generacije" da ne zavarava forumaše. Bilo o tome ranije, ovo je faza jedan, faza dva ce imati spremista ali ni tu fazu oni ne smatraju steltom tek bi faza tri trebala da bude pravi stelt. Inace faza 1 i 2 su prilicno slicne sto se tice izmena. 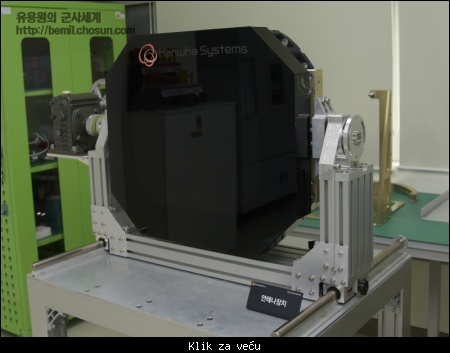 Citat:Hanwha Systems is working on the fighter’s targeting pod, no doubt with much support from ADD. The country has not made such a device before, but it has technology from naval infrared sensors. The key challenge involves reducing size and weight, says a project manager on the supplier side of the fighter program. ADD also has experience in developing a reconnaissance pod. The choice of a pod, in contrast to the Lockheed Martin F-35’s internal system, was probably driven by ease of integration and a lack of space in the smaller South Korean aircraft. Using a pod implies a planned second, stealthy version of the KF-X will not have low radar signature in the surface-to-air role. The weapon bay intended for the second version is not likely to accommodate a large internal air-to-surface load, anyway. By contrast, the electronic warfare (EW) system that LIG Nex1 is working on will be internal. The technology comes in part from the ALQ-200 EW pod used by South Korean F-16s and F-4s, says another supplier-side source. The same company is supplying the flight-control computer, radar altimeter and flight data recorder. All of these are derived from systems developed for the Korean Air Lines Co. MUAV surveillance drone. The predecessor program most relevant to KF-X is the one that developed the T-50 trainer and its light-attack versions. The T-50 used the conventional aeronautics hydraulic pressure of 3,000 psi (21,000 kPa). KAI wanted consideration of the more modern figure of 5,000 psi, which should have cut weight and bulk. But familiarity with 3,000-psi technology and the availability of testing equipment led to the decision to stay at that level, says the second supplier-side source. Spanish hydraulics specialist CESA will assist in hydraulics development, as well as in designing the arrestor hook. Since the KF-X is bigger and carries more systems, notably a radar, electrical capacity is much greater than in the T-50. Power in the LIG Nex1 system is up more than 50%. The head-up display (HUD) will be manufactured under license from BAE Systems by LIG Nex1, which will have to design the interface with the rest of the avionics. BAE also made the less advanced HUD in the T-50. KAI chose Heroux-Devtek and Hanwha to develop the landing gear. Most of the work will surely be done by the experienced Canadian company, although this has not been officially announced. The KF-X’s engine is the General Electric F414. Hanwha’s propulsion division, Hanwha Techwin, will make parts and, according to the companies’ joint statement, lead integration and installation. Again, the foreign manufacturer is likely to play a larger role than is acknowledged. Citat:Indonesia has failed to pay its annual share of expenses for a joint project with South Korea to develop high-tech fighter jets, an opposition lawmaker claimed Wednesday. The claim prompted concerns the project, dubbed KF-X, could be suspended. AESA radar i nisanski kontejner prave sami a IRST rade sa Leonardom. Citat:The SEK125 million (USD15.2 million) deal calls for Saab to provide technology support – namely algorithm development and evaluation expertise – to the Defense Acquisition Program Administration’s (DAPA’s) Agency of Defense Development (ADD) and local industry partner LIG Nex1. DAPA also earlier announced in May 2017 that it had awarded a KRW40 billion (USD37.6 million) deal with Israel Aerospace Industries’ Elta Systems to support development of an AESA radar destined for the Korean Fighter Experimental (KFX) aircraft. I Saab i Israel Aerospace Industries su u razvoju AESA radara. Citat:South Korea is looking to achieve European air-to-air missile technology as part of its key arms procurement offset programs. The Defence Acquisition Program Administration, or DAPA, made public March 5 a list of 18 weapons procurement programs eligible for this year’s offset deals. Those include the integration of MBDA’s Meteor long-range missiles and IRIS-T short-range missiles into the future fighter jet, dubbed KF-X, to be locally developed by 2026. Citat: Martin-Baker has been awarded a contract to provide the escape system for the Republic of Koreas Air Force's new fighter, KF-X. 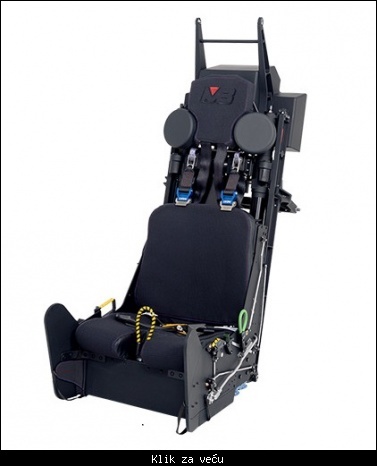 Korea Aerospace Industries (KAI) competitively selected Martin-Baker's Mk18 ejection seat for its latest aircraft development programme. The selection of the Mk18 seat continues a long history of partnership between Martin-Baker and KAI, that started with their KT-1, followed by the T/A-50 and is now is set to continue with the KF-X. Citat:Cobham has landed a contract to design and produce the oxygen system for South Korea’s future fighter, the KF-X manufactured by Korean Aerospace Industries, the company announced Tuesday.